In 2007, help for Animals performed out 50,000th alternations on February 26, 2007, a day that is almost ten years from the date of our originally opening. And in June 2007, we have performed over 52,000 animals, bringing the total animals that HFA has altered, or help to spay or neuter to over 58,000 animals in our 33 year history. In November 2014, Help for Animals hit another milestone. We performed our 125,000 spay/neuter. Since then, to date, the Clinic has performed a total of 160,000+ spay and neuters to help curb the animal population in the area and surrounding counties. The Clinics goal is to raise the funds needed to have X-ray capabilities, which is vital to treating some health issues. Currently Help For Animals is limited on what health issues it has the ability to treat, thus making the Clinic sends a large amount of animals to other clinics to have X-rays taken. In some cases not everyone can afford the cost of X-rays at a full service clinic. By contributing you are creating a location where low cost X-ray can be produced. In turn this will greatly increase the chances that people can afford, sometimes life saving procedures. 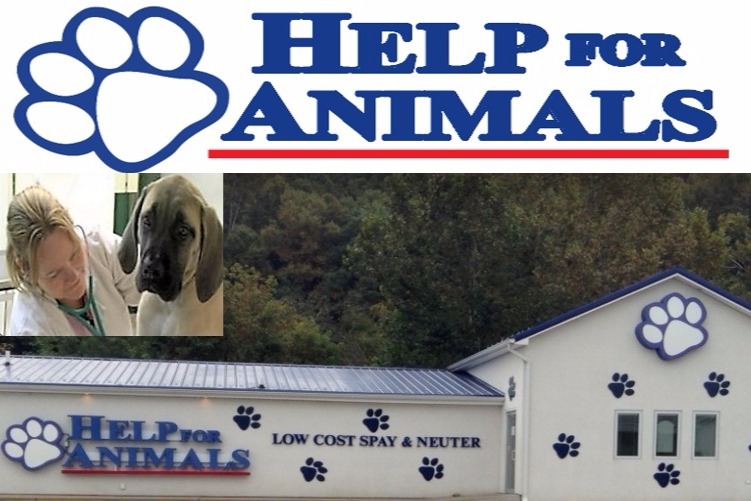 Help For Animals ask you to help create a fully functional low cost veterinan clinic, a first of its kind in West Virginia. Please visit our website or Facebook page to find out more about Help For Animals. I just wanted to give an update on our X-Ray fundraiser, Help For Animals Board of Directors has decided to discontinue raising funds for an X-Ray. I Wanted to inform everyone that the donations you gave would be used to support other programs that Help For Animals runs. Please feel free to visit our website at helpforanimals.net. to see all the programs Help For Animals maintains. Once again, I would like to thank each and everyone of you that have supported this effort and hopefully in the future we can again attempt to get Help For Animals X-Ray Capibilites. Greetings everyone, I just wanted to give an update on the progress of our fundraiser. I have submitted a few grants in hope of generating the funds needed to purchase the X-ray we are looking to get. It maybe months before we find out if we've been approved or not. So please keep sharing this fundraiser and speard the word about Help For Animals and all we do here. Help Keep the dream alive by donating today. I wanted thank Capri Billings and River Cities Bully Buddies for their donation they made through Helpforanimals.net. It is greatly appreciated.